Nashville is one of America's favorite barbecue cities, and for very good reason. We've got Memphis style ribs, Carolina pulled pork, Texas Brisket and much more. Our craft brewery scene is among the most active in the nation -with close to two dozen breweries creating unique locally styled beers. This tour takes you to the best of both. You'll enjoy stops for three different BBQ experiences, including the best brisket, ribs, smoked turkey and pulled pork in the city and a visit to a whole-hog pit. To wet your whistle in between, we'll sample local beers at three different spots and we'll explore brewing techniques, take a brief tour, cover a little beer history, and sample a wide range of ale, porter, IPA, and more. 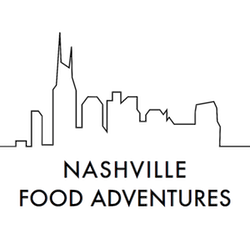 You will be neither hungry nor thirsty after this amazing adventure, and you'll have seen lots of Nashville sights and visited some landmarks along the way. We'll take just a little bit longer on this tour, so that you'll have enough time to savor the moments with friends along the way and make a memory you won't soon forget! Book it as a public tour on Saturday afternoons, or as a private tour with your favorite neighbors, a corporate outing, or bachelor bash. We can't wait to throw down some Q and Brew with You!